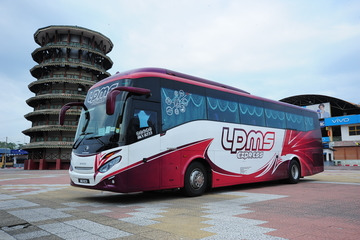 LPMS is a fast-emerging express bus company based in Teluk Intan, Perak. LPMS provides express bus services across Malaysia and Singapore. 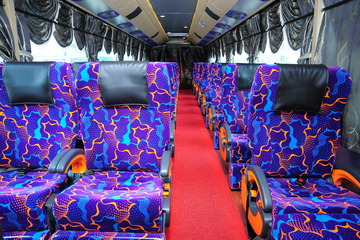 It is specialize in bus route from Perak to Johor and Singapore and bus routes from Selangor to Singapore. LPMS provides about 10 bus routes daily depart from Perak to Johor Bahru and Singapore. The pickup point includes Teluk Intan and Simpang 4 (PRK). The drop off point includes Johor Bahru Larkin Terminal and Golden Mile Complex, Singapore. The bus ticket price from Perak to Johor Bahru or Golden Mile Complex is about RM 60. Besides, LPMS is offering bus services depart from Sabak Bernam Selangor to Golden Mile Complex Singapore, Sabak Bernam Selangor to Johor Bahru Larkin Terminal, Sungai Besar Selangor to Johor Bahru Larkin Terminal, Sungai Besar Selangor to Golden Mile Complex Singapore, Sekinchan to Golden Mile Complex Singapore and Sekinchan to Johor Bahru Larkin Terminal. The bus fare from Selangor to Johor Bahru or Singapore is also RM 60. Buses available by LPMS are in single deck with 31 seaters and 2 + 1 seating style. The buses are equipped with air-conditioning and sufficient leg space to maximize the comfort of the passenger during their bus journey. Counter 2, Terminal Bus Bandar Baru, 36000 Teluk Intan, Malaysia.